PandaMiner is a new company that started manufacturing mining gear in 2016. They aren’t as popular as Bitmain, but their outlook is promising. PandaMiner decided to get into the market with their first all-in-one miner, the PandaMiner B1 Plus “scrypt asic miner” , multi-algorithm mining. Some people loved it while others hated it (although most of them haven’t tried the miner yet). There have been a lot of talk about the PandaMiner B1; in this article, we will try to find out what’s really going on. The PandaMiner B1 is a pre-assembled GPU mining rig. It consists of eight RX-480 4GB cards assembled together, overclocked and optimized along with an embedded and pre-configured PC with Windows (Chinese). This makes the B1 the perfect rig for those who don’t want to spend hours in Google in order to learn how to assemble, configure and overclock a rig correctly. However, this does not mean that the PandaMiner B1 Plus is a mining rig for beginners only. According to reviews of people who tried it (and keeping the specs in mind), the rig is actually well-made and it performs as well as you would expect from 8 RX-480s. On the other hand, the price is reasonable too. We will get into detail in a minute. 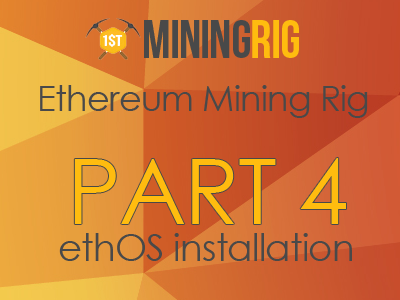 The usage is extremely simple since the miner includes everything. All you have to do is to plug it into your monitor, run the basic configuration and you’re set to go. This is probably the main selling point of the product. The only way you can purchase it is by using bitcoin (unless you live in China or from Amazon). This is one of the reasons why some people opted for this miner when it hit the shelves. Now, let’s be honest – anyone can purchase the same components by separate and assemble their own mining rig. Let’s say you are an experienced miner (or you are a beginner with a lot of spare time) and you decide to make your own rig. How much would it cost? In my country, a rig like PandaMiner would cost me from $3300 to $3600. So the best option for me is to order it directly from China, you better start donating that BTC, haha! Shipping costs are not included either, since it greatly depends on the seller. However, if you purchase several components from different sellers, shipping costs might add up quite a lot. An this is not all, some users started to create custom Linux OS versions for PandaMiner getting even better hashing speed, stock settings 5890h using claymore (with fee) consuming 1120 watt, with modified rom Linux hashing at 6400h using sgminer (no fee) consuming 880 watt (4amp)! That’s something!! According to the company website, PandaMiner B1 also supports LBRY, and a couple of other GPU minable cryptocurrencies. Nevertheless, no user confirmed that, yet. This is a tricky topic because as we said earlier, there is a lot of trash talk about the PandaMiner B1 on the web. It takes a minute to find several forum posts and reviews where people literally spit venom on the miner. Now, after a bit of research it becomes apparent that the miner was criticized even before it hit the shelves. In most of the cases, people would give their opinions about the company and the product without even trying it first. c. You get trusted warranty for products you purchase through Amazon, which means it’s safer to purchase all the components separately and assemble the rig on your own. Now, those were the most rational arguments that actually make sense. Problem is – the forums are also filled with people yelling “scam”. That makes no sense, because people would label PandaMiner as “Chinese scammers” way before the miner was even released. Of course, there is a share of real life stories about Chinese companies scamming their customers, but does it mean that every Chinese company is a scam? Now, if we get back to those three reasonable arguments, we suppose that (A) and (C) make sense – PandaMiner is new to the market and they had no way to prove themselves yet. Now, the whole altcoin mining world is new to, so it would be naïve to expect them to be a company with 10 years of expertise on the field. The point (B) is rather subjective. We have listed the manufacturing costs, and it’s up to you to decide whether you want to save that money and build the rig on your own. As always, i will keep you updated with the PandaMiners!